Shaw Solar is a full-service solar contracting company based in Durango, Colorado. We specialize in grid-tied solar electric design and installation. Shaw Solar was founded in 2006 by John Shaw, after two decades of both solar and traditional energy system design and installation work in Durango and throughout the Four Corners. Since Shaw Solar's inception, the goal has been to provide matchless customer service and to help our clients find the right solutions to their solar goals. While solar technology is definitely cutting-edge, Shaw Solar understands that it's not just the equipment that makes for a successful installation, but also a commitment to good old-fashioned customer service and attention to detail. Our highly trained professionals will take great care of you every step of the way, from your first phone call through the final inspection. Along with his brother, John installed and commissioned the first grid-tied PV system in La Plata County back in 2001 – part of the world-famous Smiley Building retrofit. Today, Shaw Solar is proud to have completed over 450 installations in LPEA’s service territory – that’s 50% of the solar installed in our area. The carbon dioxide reductions (1,800 metric tons) from the solar we've installed is equivalent to taking 398 cars off the road every year or planting 48,399 trees! Additionally, we are saving our clients over $350,000 in energy costs each year for years to come. Shaw Solar can design, engineer, install, and maintain everything you need to use energy as efficiently as possible in your home or commercial property. We have installed residential systems ranging in size from 1 to 57 kW. Our commercial systems vary in range from a 2 to 204 kW, both single and three-phase. 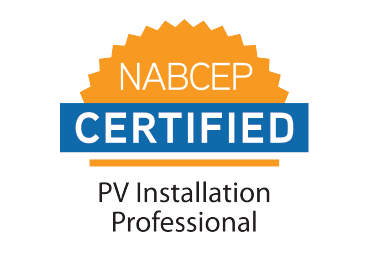 And since we have two licensed Master Electricians on staff, Shaw Solar can act as both the lead electrical contractor as well as the lead solar contractor on all of our installations – a great cost and logistical advantage for our clients. Shaw Solar is proud to service more than just Durango. We are often found “Bringing solar power to the people” in Mancos, Cortez, Dolores, Silverton, Bayfield, Pagosa Springs and more. We are extremely proud to say that Shaw Solar became a Certified B Corporation® (Durango’s 1st!) in the Fall of 2018. (B Corp is to business what Fair Trade is to coffee or USDA Organic is to milk.) Unlike traditional corporations, Certified B Corps are legally required to consider the impact of their decisions not only on their shareholders, but also on their stakeholders (e.g., workers, suppliers, community, consumers, and the environment). The B Corp ethos - balancing profit and purpose and using business as a force of good - is aligned with everything we believe in, which is why Shaw Solar is thrilled to join the 2,200+ Certified B Corps worldwide in redefining success in business. #BtheChange. Find other B-Corps - You have the power to make your voice heard - through what you buy, where you work, and who you do business with.